It’s a good friend and former NHLer who perhaps summed up it best when describing what it’s like to play against Patrice Bergeron. When Simon Gagne, who retired in 2015 after skating in 822 big-league regular season games, was asked about facing-off against one of the league’s elite two-way stars, he started off by shaking his head. Which is precisely what Bergeron’s opponents have been subject to at the World Cup of Hockey. The 31-year-old has formed a formidable Team Canada line with Boston teammate Brad Marchand and Pittsburgh superstar Sidney Crosby, a trio that’s combined for 22 points in five games. Crosby has a tournament-leading nine points, Marchand is second with seven and Bergeron is third with six. 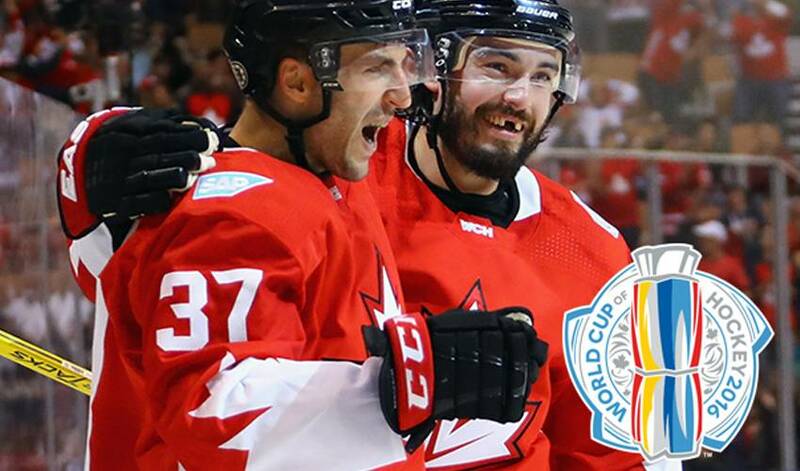 Against Team Europe in Game 1 of the Final, Bergeron had a goal and an assist, took four shots, was 78 per cent in the face-off circle, saw time on both the power-play and penalty-kill, and was named Second Star in the 3-1 Canada win. In other words, it was just another typical night for the native of L'Ancienne-Lorette, Quebec. Yet despite a head-turning hockey hardware haul, including membership in the prestigious Triple Gold Club (Olympic gold, World Championship gold and a Stanley Cup), three Selke Awards as the NHL’s top defensive forward and a King Clancy Award (leadership on and off the ice and significant contributions to the community), Bergeron is quick to acknowledge others for his successes. Players that loathe the thought of playing against him, but relish the moments they get to wear the same jersey as No. 37. Canada plays Team Europe in Game 2 of the World Cup of Hockey on Thursday night at Air Canada Centre.